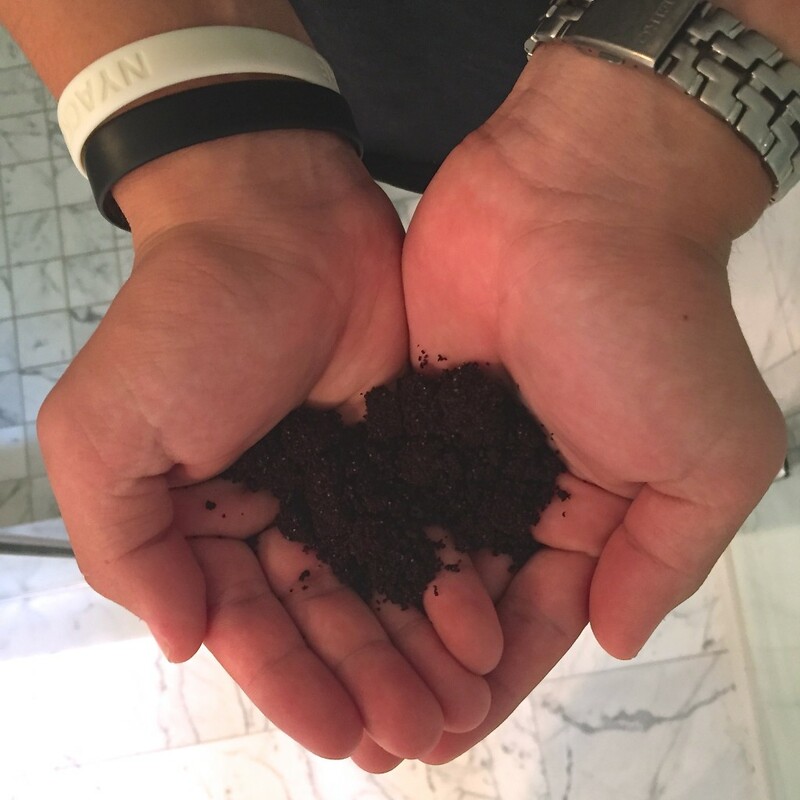 Between reading LDiva’s previous review, and following the Frank craze on Instagram, I was more than excited to see what this coffee scrub hype was all about. 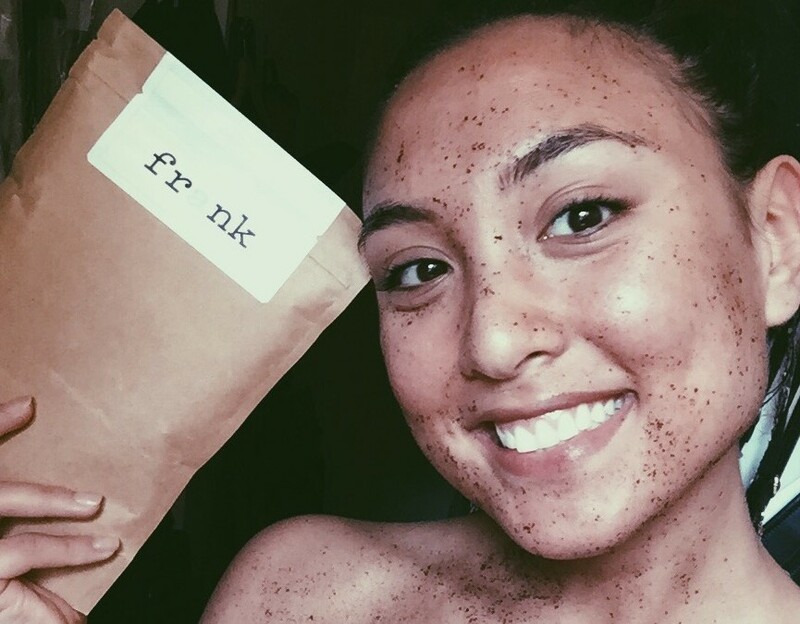 Frank Body Scrub is packed with a special blend of natural ingredients which help to exfoliate dry, flaky skin. In addition, these grinds help in targeting other skin ailments such as cellulite, stretch marks, eczema, psoriasis, varicose veins, acne (YES) and scarring. From the get-go, I knew Frank was right up my ally. Not only did I love the packaging, but the instructions were super fun and easy to follow. I had a hard time deciding which scrub to get my hands on first, so I started with the Cacao Coffee Scrub (retails $16.95). The scent of this Cacao Scrub literally made me melt — HEAVENLY. With it’s unique blend of antioxidant-rich, natural ingredients (including freshly roasted and ground arabica coffee, organic cacao extract, cold-pressed almond oil, cold-pressed macadamia oil, brown sugar and sea salt), I found no hesitation in applying the scrub to my face. I let the scrub dry for 5-10 minutes (as recommended), and allowed Frank to do his job. My skin felt super fresh and radiant after rinsing off. The scrub was not only soothing and moisturizing, but also helps to fight free radicals and the effects of pollution, helping to reduce the appearance of dark spots, fine lines and pigmentation. 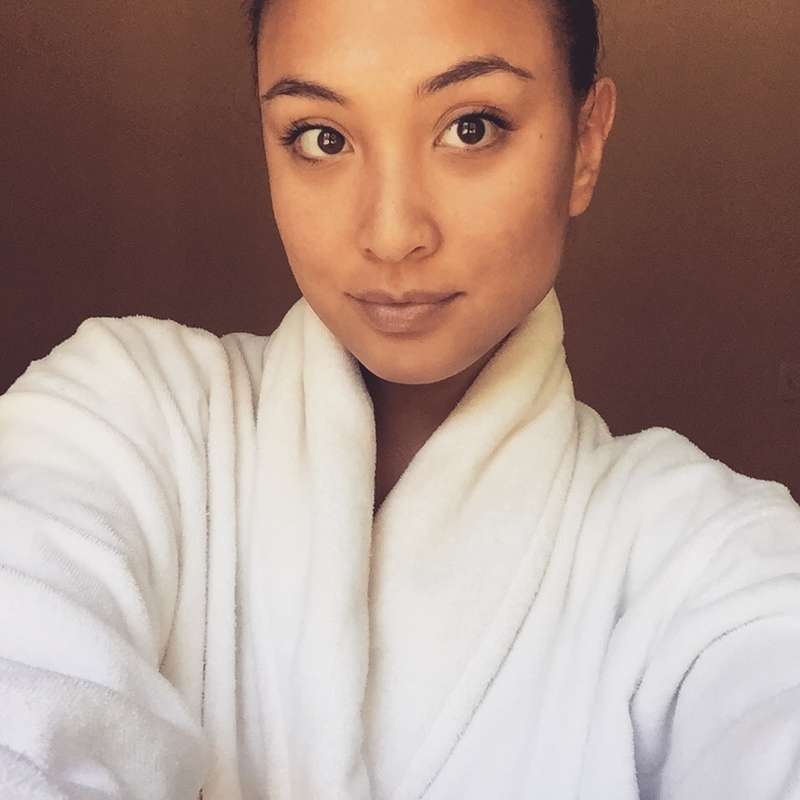 After finding immediate success with the first scrub, I was excited to lather my skin with the next blend! The Peppermint Coffee Scrub (retails $16.95) smelled similar to a Peppermint Patty, with a smokey hint. This scrub in particular is great for soothing tired muscles. Being that I am always on the run, this scrub seemed appropriate in helping my body to relax, recharge and replenish. I exfoliated my entire body with the perfect post-gym scrub, and let the scrub dry for 5-10 minutes. The native mint extract was amazing when it came to making my body feel and smell freshed. The olive oil helped to nourish, rejuvenate and protect my skin — it is highly rich in vitamins, minerals and fatty acids, which help to maintain skin elasticity and softness. And with the summer season upon us, the aloe vera is perfect for healing my skin after sun exposure. 2 out of 4 of the scrubs sent for testing down, and I couldn’t be more satisfied. I figured I would share the joys of Frank and have my brother test out some of the scrubs as well! 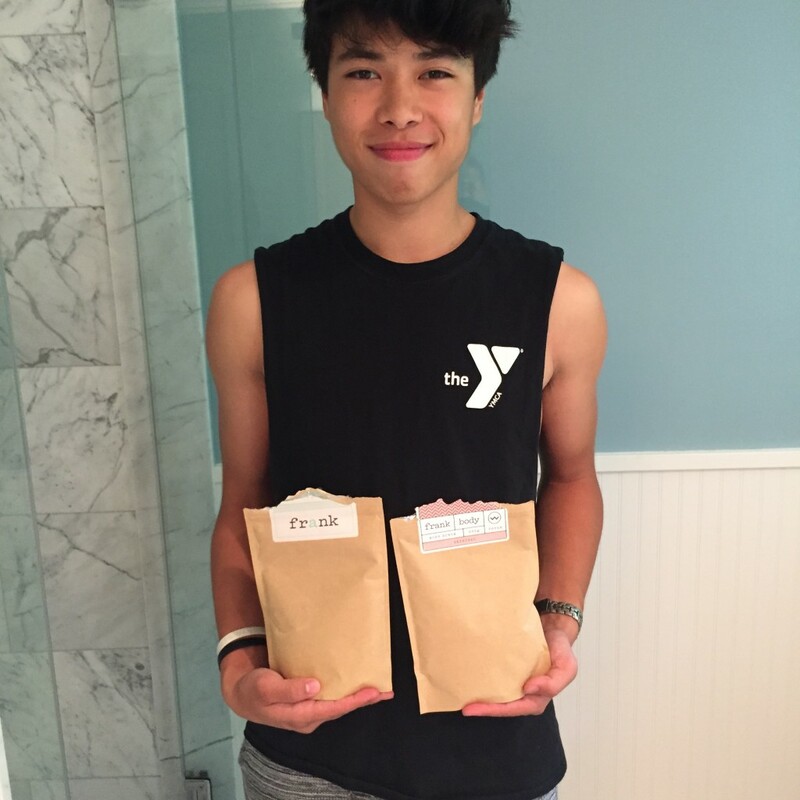 Jack tried out the Original Coffee Scrub (retails $14.95), along with the Coconut Scrub (retails $17.95). The Original had a citrusy essence, while the Coconut was more delicate and smooth. While Jack does not have problems with skin ailments like I do, he still felt both scrubs left his skin feeling refreshed and healthy. The grape seed, coconut oil and jojoba beads in the Coconut Scrub are great for removing dead skin cells, cell repair, skin infections and sensitivities. The Original Scrub includes sea salt and cold-pressed sweet almond oil, which are both great for treating wounds and skin inflammation. My skin recently has been more clear than ever! These scrubs have been a great addition in working towards a flawless, radiant complexion. While I loved how fun and delish using these scrubs were, my favorite part about Frank is its all-natural ingredients. 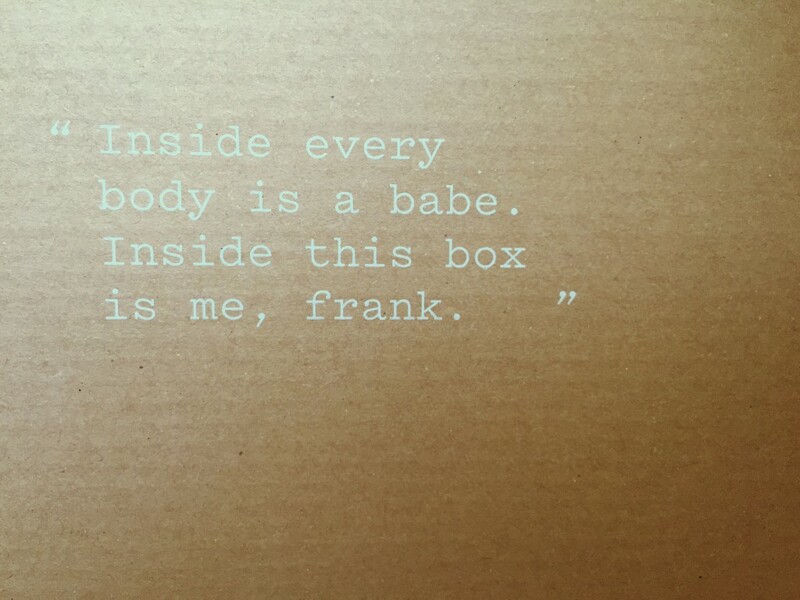 On the Frank Body website, individuals are able to share their before and after photos of their skin. All of the transformations are absolutely amazing, and using no parabens, PEGS, phthalates, sulphates, silicones, mineral oil, glycols, DEA or TEA truly makes a difference. 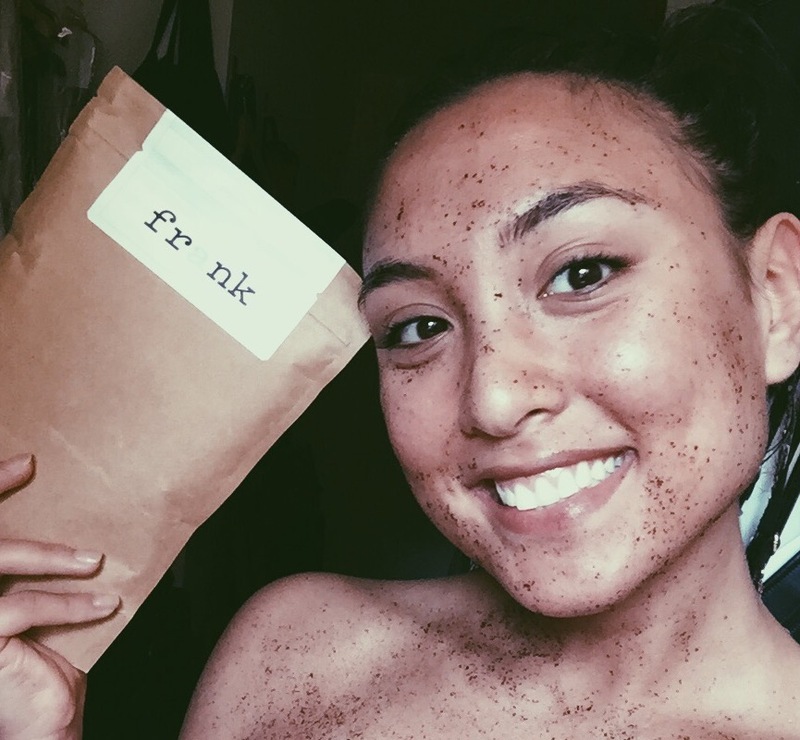 It’s amazing how all-natural ingredients can be so healing, and I truly believe Frank will only continue to benefit anyone who struggles with skin sensitivity. Scrubbing with Frank is 10000% worth the bathroom mess. It’s time to get dirty, get rough and get clean!! Note: This post is not sponsored. All thoughts (and images) are unbiased and my own. Products were sent for review.